Knowmad is continually growing so please introduce yourself! We share job openings in the Knowmad newsletter and our Facebook page before we post them anywhere else. Sign-up for our newsletter or follow Knowmad Adventures on Facebook to get the most up-to-date information on employment opportunities. Currently, we are accepting applications for both our Operations Specialist & Trip Specialist positions; see below for more details. Knowmad was founded ten years ago and has quickly become recognized as a leader in custom and private South American travel, winning Travel & Leisure’s A-List honors, Condé Nast Experience Makers awards and being named “one of the best tour operators” by Frommer’s. We build incredible adventures for great people. We open minds. We blow minds. We collaborate, craft, and construct. We have fun. We wear jeans, any day of the week. Here at Knowmad we are dedicated to unique travel experiences and our office environment reflects that. Members of Knowmad’s team work both remotely and in our main office located in Minneapolis, MN, depending on their specific role. Minneapolis in the past ten years has been ranked among the top places to live in the U.S for health, happiness, and outdoor fun. Our office is only blocks from lakes and parks ideal for lunch-time biking, cross-country skiing, SUPing and more! Knowmad Adventures is an Equal Opportunity Employer. WHAT Get your foot in the door in custom, experiential adventure travel with this entry-level position that gives you insight into every facet of the trip building and execution process. The Operations Specialist role assists Trip Specialists in the initial trip planning phase, the logistical operations of the trips post-confirmation, as well as assists the Marketing and Accounting departments with data entry and formatting. This position allows you to immediately be an important team member adding value to the company while gaining skills to grow into additional roles. WHEN Application deadline May 1st, 2019. Hard worker looking to start a career in South America travel. Ability to multi-task and handle a wide variety of responsibilities. Excellent writing skills for drafting and finalizing client documents and emails as well as contributing to other writing-intensive projects. Ability to be resourceful, work with little guidance and learn new skills independently. Knowledge of Apple computers, Word, iCal, Outlook, CSV files and Google Drive. Must be proficient at word processing. Further knowledge of WordPress, InDesign, and credit card processing portals is a plus. Customer service experience. The travel industry requires excellent customer services skills, including patience, enthusiasm, attention to detail, and efficient and effective follow up. Ability to provide strong references that will confirm previous successes in roles utilizing similar skill sets. 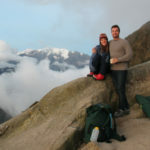 A passion for and travel experience in South America. Conversational Spanish is a plus but not required. 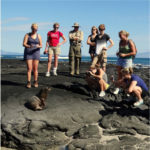 Assist Trip Specialists with drafting of traveler itinerary proposals and creating online registration links. Schedule and execute traveler management calendar items. Create trip invoices and payment links. Send passenger information, flight information, & confirmation of services to South America partners. Check service confirmations from South America partners. Assist travelers with process of purchasing flights through a flight partner. Draft and format client-facing final trip documents. Answer traveler pre-trip questions via phone and email. Mail trip documents to travelers, marketing materials, etc. General administrative needs, including ordering supplies (minimal errands). Assist Marketing with formatting of web page (WordPress) and pre-departure materials (InDesign). Assist Accounting with data entry. Contribute to team-wide company growth initiative projects. Eventual periodic monitoring of the Knowmad emergency phone and email during non-office hours. While performing the duties of this job, the employee is regularly required to stand; walk; sit; use hands; reach with hands and arms and talk or hear. The employee is occasionally required to stoop, kneel, crouch, or crawl. The employee must occasionally lift and/or move up to 50 pounds. Specific vision abilities required by this job include close vision, distance vision, peripheral vision, depth perception and ability to adjust focus. This job requires the ability to use a computer for sustained periods of time – at least 8 hours a day. Starting base salary of $32,000 with company-wide revenue goal related bonus opportunities after 6 months. Schedule & hours: Minimum 40 hour work week, Monday through Friday. After 3 months of employment: 50% health care premium monthly reimbursement begins, 3 weeks of yearly Paid Time Off, ability to have a Flexible Schedule (with the majority of your office hours overlapping with Knowmad’s normal office hours). 12 weeks Family Leave, partially to fully paid depending on tenure with company. After 1 year of employment: 401k investment plan with company matching program, ability to Telecommute or Work from Home one day per week. After 18 months of employment, 2 weeks of paid, work-related travel annually to South America. This is a great opportunity to join a passionate, close-knit team dedicated to creating incredible adventures in South America. In the Operations Specialist role you’ll learn about each department within Knowmad Adventures from the ground up. This position has a clear growth trajectory into travel planning. If you’re passionate about travel and South America, are a quick learner and hard worker, but don’t have much direct experience with custom South American travel planning, this could be a great fit for you. Please send an email titled ‘Operations Specialist Position’ to travelerservices@knowmadadventures.com, with the following four items attached: resume, cover letter, list of references willing and able to be contacted, and college transcript (unofficial is fine). Additionally, we encourage applicants to also include a one-page creative letter explaining why you are a good candidate for the position. 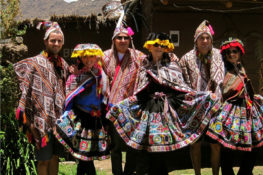 WHAT Trip Specialists work with travelers to build custom itineraries in South America. Utilizing their niche South America knowledge base, they work with travelers from their initial inquiry through the planning process, creating trips that reflect their travel styles and interests, coordinating logistics with our South America partners, and executing the pre-departure logistics in collaboration with our Operations Specialists. WHERE Minneapolis, Minnesota office or possibility of working remote with previous applicable travel industry experience (there would be a minimum in-office training period in this case). 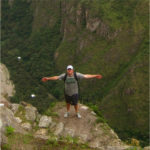 Past professional travel planning experience with South America focus. 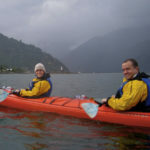 Extensive travel experience in Chile and/or Argentina and a passion for Latin America and travel in general. Excellent verbal and phone communication skills, to interact with a variety of clients and meet demanding expectations for a high level of personalized service. Excellent writing skills in order to quickly and effectively communicate with clients via email, finalize client documents as well as contribute to Knowmad’s blog, itinerary creation and other projects. Advanced knowledge of Word and Google Drive as well as excellent general computer skills. Ability to work with little supervision and use sound judgment. Ability to provide strong references that will confirm previous successes dealing with challenging, detail-oriented work. Conversational Spanish a plus but not required. Follow up with potential leads by phone and email to guide clients through our custom trip planning process. Educate potential clients on the destination, excursions and accommodation options while making suggestions for their trip based on what you’ve learned of their travel style and wish list. Determine whether someone is a good fit for Knowmad Adventures and the style of trips that we create. Create a custom itinerary, prepare the trip outline in a Google Drive document, work together with suppliers on the logistics of the itinerary, pay close attention to details at all times, finalize traveler itinerary proposals, and use efficient and effective follow-up throughout the sales cycle. Answer client pre-departure questions and continue to be a resource to them until they return from their trip. Prepare final trip documents, paying close attention to all details of the trip. Communicate with suppliers and partner network. Assist when issues arise while a traveler is on the ground. Contribute to team-wide company growth projects. Ideal candidates will have unique abilities that will be harnessed in growth initiatives and special projects. Projects are a part of all Trip Specialist positions. Salary and compensation depends on experience and performance. Knowmad Trip Specialists generally earn above industry averages, and high-performing Trip Specialists have considerable earning potential. Inquire for details when applying. Schedule & hours: Minimum 40 hour work week Monday through Friday. After 18 months of employment: 2 weeks of paid, work-related travel annually to South America. 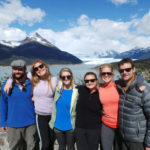 Trip Specialists coming from other companies have commented on the incredible culture, improved earning potential, organized processes, and better work/life balance at Knowmad. We are a fun-loving, smart, motivated group of travel obsessed individuals working together to grow the Knowmad family and company. If you are a talented Travel Planner with significant South America experience and are looking for a place where you can grow and improve your career and happiness, we would be pleased and honored to hear from you! Please send an email titled ‘Trip Specialist Position’ to travelerservices@knowmadadventures.com, with the following items attached: resume, cover letter, and list of references. Additionally, we encourage applicants to also include a one-page creative letter explaining why you are a good candidate for the position and demonstrating your writing abilities.